WOWI Trivia: WOWI was a 1000 watt daytimer licensed to New Albany, Indiana (right across the river from Louisville). 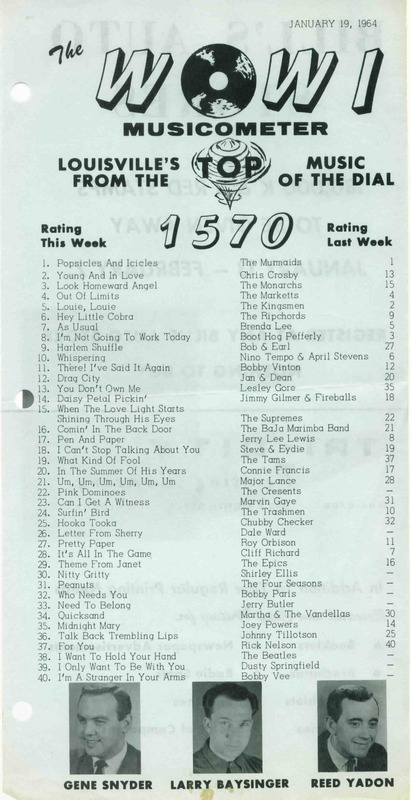 Its call letters were changed to to WNUW (which stood for "Radio New") in September of 1964. The WHEL call letters were adopted around May of 1966. Know anything more about this station? Have any WOWI airchecks, photos or promotional material?